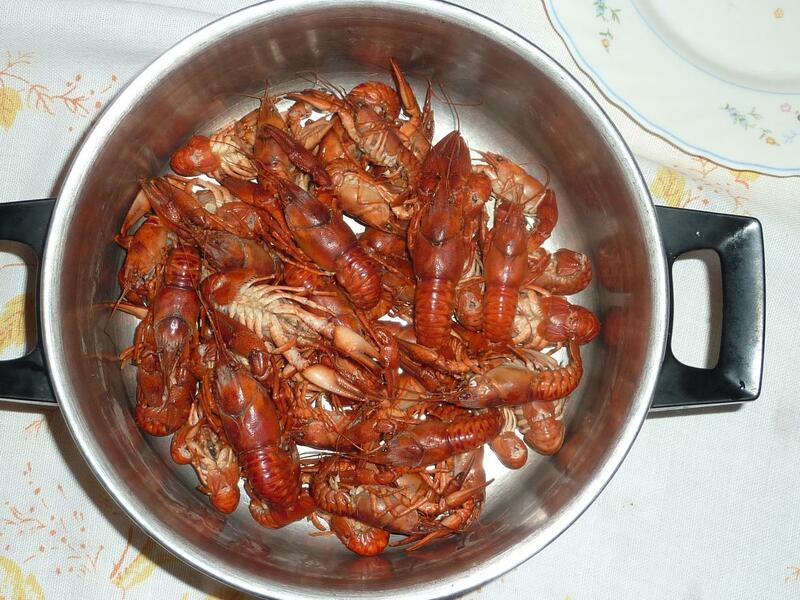 Today i 'm gone to crawfish fishing in a smal lake. 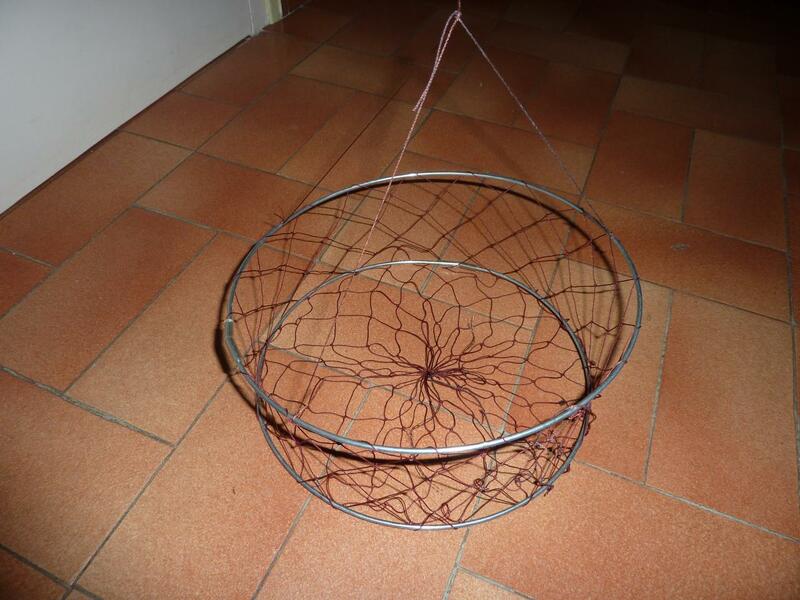 tECHNIC is simple, i put some roach meat piece into basket made of net , and i put up it each 10 minutes maximal during. Basket TO crawfish FishING are mount with 40/100 nylon line on line i had put 2 pieceS of floAtting wood to haven' t eJEcting crawfish during retreiving LINE. 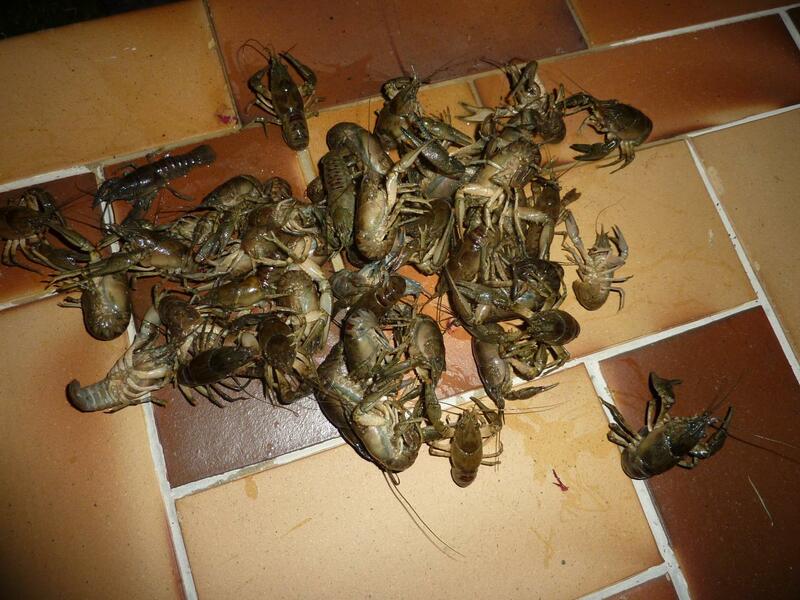 Make boille water and put live Crayfish into after 3 minutes you can choose a receipe. Put 400 grams of crayfish ever boilled into big pot , put some shallot, some garlic, some parsley and white wine let cooking during 10 minutes, put some milk cream, let cooking 5 minutes and before ending flambe with whisky that's ready!!!!!!!! !